The online bidder can either buy an item directly or bid on it. After purchasing, it is compulsory for the buyer to proceed to the payment by applying the following rule: if the price of the item is below 200€, the buyer will pay by credit card. 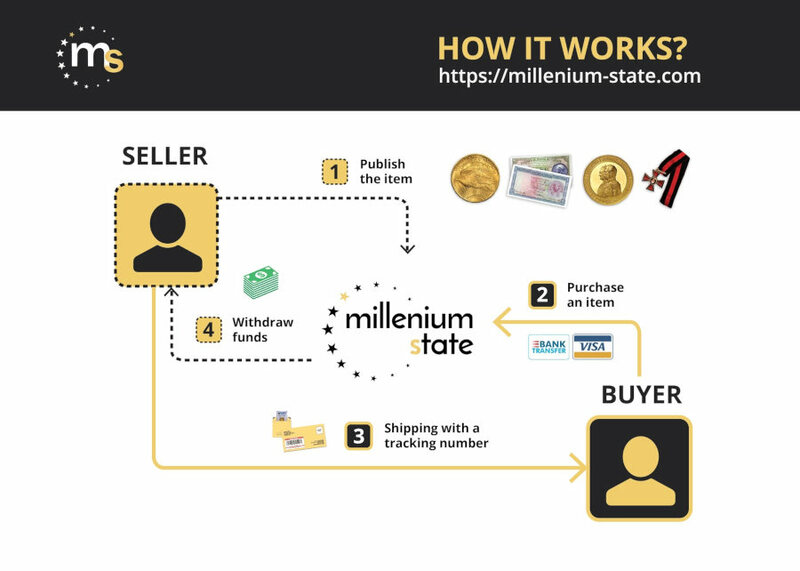 If the price exceeds 200€, 20% of the total amount will be paid by credit card, and the other 80% via bank transfer directly to Millenium State. Once we receive the payment, the seller will immediately be notified. After receiving the notification of the payment, the seller must ship the items to the buyer with a tracking number that will also be provided to Millenium State in order for us to make sure that the shipping is successfully completed and also to keep an eye on the parcel while being shipped. From the moment the transaction is successfully completed and the item has been shipped, the seller can withdraw their funds within a maximum of 21 working days.